16 & Pregnant, Babies, Where Are They Now? It’s a boy for 16 and Pregnant Season 5 star Summer Rewis and her husband DJ! 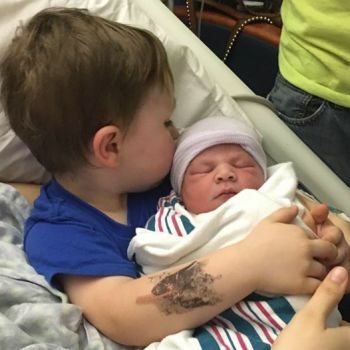 Summer announced that she and DJ welcomed their second son, Connor Mace, early Tuesday morning in Georgia. It appears that baby Connor came a bit early, as his due date was actually June 24. 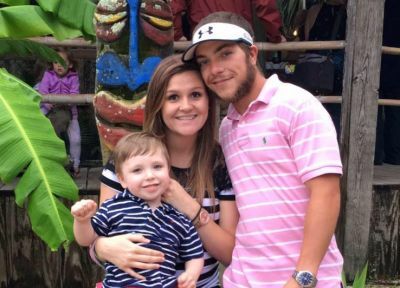 Summer and DJ, who have been married since August 2013, are already parents to son Peyton, whose birth was featured on ’16 and Pregnant.’ Peyton will turn three in October. Summer announced the pregnancy back in October, and in an exclusive interview with The Ashley, she revealed that having another baby wasn’t exactly in the couple’s immediate plans. (Hey– that’s what happens when you don’t go to itsyoursexlife.com, guys!) Still, Summer said that she and her family were in a good place. Fans of the show may remember that Summer and DJ’s marriage went through a lot of turmoil in 2014. The couple almost split up due to DJ being unfaithful to Summer. In October, Summer addressed that issue. Just last week, Summer wrote a sweet post about DJ in honor of his recent 21st birthday. Summer is the first girl from her season of ’16 and Pregnant’ to have a second child, but she’s certainly not the only one from the series to do so. In fact, according to The Ashley’s recent study on the girls of ’16 and Pregnant,’ over half of the 59 girls featured on the show have had at least one more child, or are currently pregnant. Did Summer at least get her GED? How does SO afford all those Ralph Lauren shirts? How does DJ afford all those Ralph Lauren shirts?? People are concerned about the serious issues that occurred 2 loooong years ago just because they are bringing another new life into it? Do they not listen to what she has said? We are two totally different people now! We have a house and he has an “Amazing” job! OH let me gush about him on social media to tell him how much me and our boys (one unborn) love him, “honey you are my world”! When a person is trying that hard to convince the world that everything is “Amazing” it makes you wonder if they are trying to convince themselves. So she stayed with him after he cheated on her? What a doormat. Mace? Like going to ‘mace’ you? I wish them all well! However, isn’t it hard for Dr Drew to keep spouting off about how these shows are so dramatically decreasing the prevalence of unplanned pregnancy among youth whilst over 1/2 have become pregnant again?? It may be that first time teen moms are decreasing, but the statistics that women who are teen moms already are more likely to have a second child sooner than later may be staying the same.